After completing a project, we always ask our customers for honest, direct feedback about our roofing systems and the work that was done to install them. For truly unbiased opinions, we have engaged the respected Arizona State University Performance Based Studies Research Group. 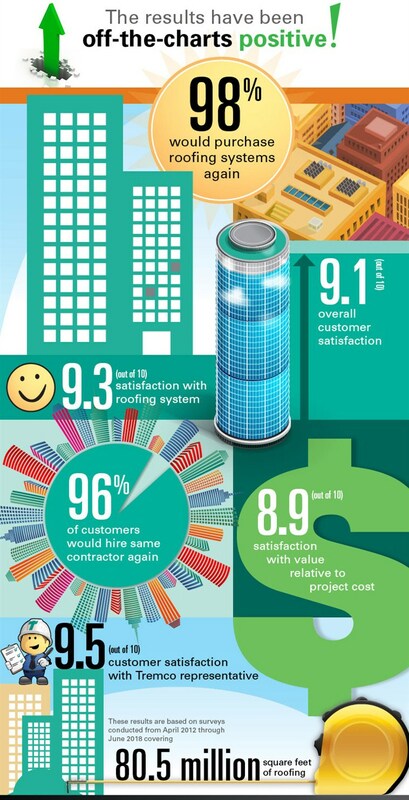 ASU independently surveys our U.S. customers to gain a deeper understanding of their experience during the roofing system selection and installation process. For additional verified performance information, contact Tremco Roofing & Building Maintenance at 800.852.2782 or info@TremcoRoofing.com.